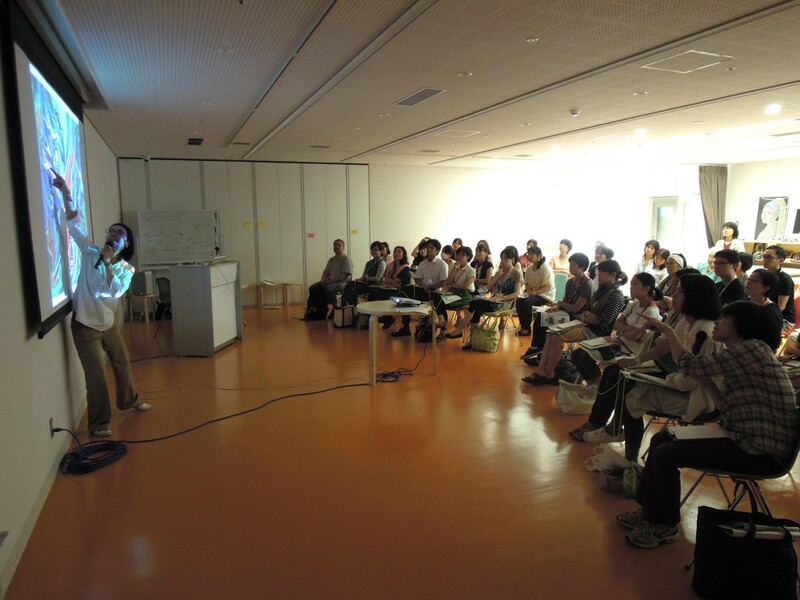 The Practical Application Course “School Monday (Art Viewing through Conversation)” has started. 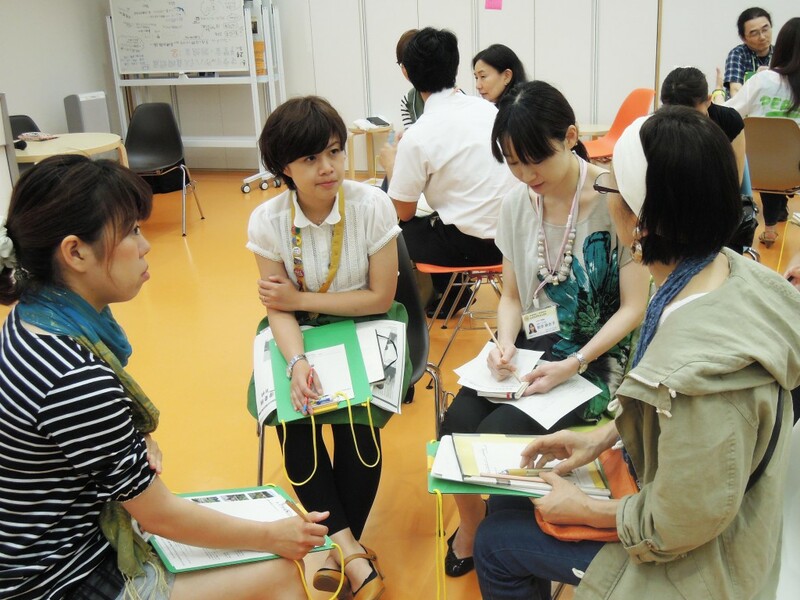 The class invited Ms. Norie Mitsuki, an art planner of the non-profit organization Art Resources Development Association, as an instructor. Attendees learned about “Savoring Art Together – Viewing” while mixing in a practical approach. 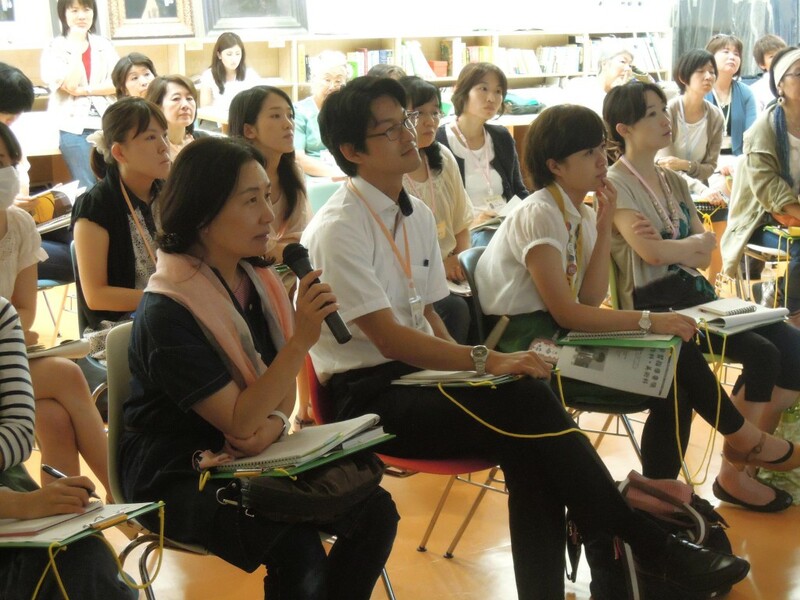 First, there was a lecture given by the curator in charge of “School Monday,” Ms. Inaniwa, regarding the overview of this Practical Application Course and the current status of art viewing education in elementary and junior high schools. 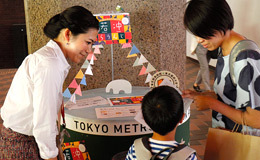 School Monday is a program for school teachers and children started by the Tokyo Metropolitan Art Museum (hereafter: TOBI) spurred by the museum’s renovation in April 2012. On days when the Museum is closed, we offer special art viewings, which are difficult to offer at schools due to the high volume of regular museum visitors. Also, this program provides support for children to become the main focus and be able to view art while freely forming opinions and thoughts, and then sharing them with others through discussion. 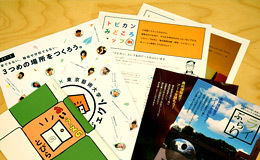 In recent years, curriculum guideline levels have been revised in elementary and junior high schools. 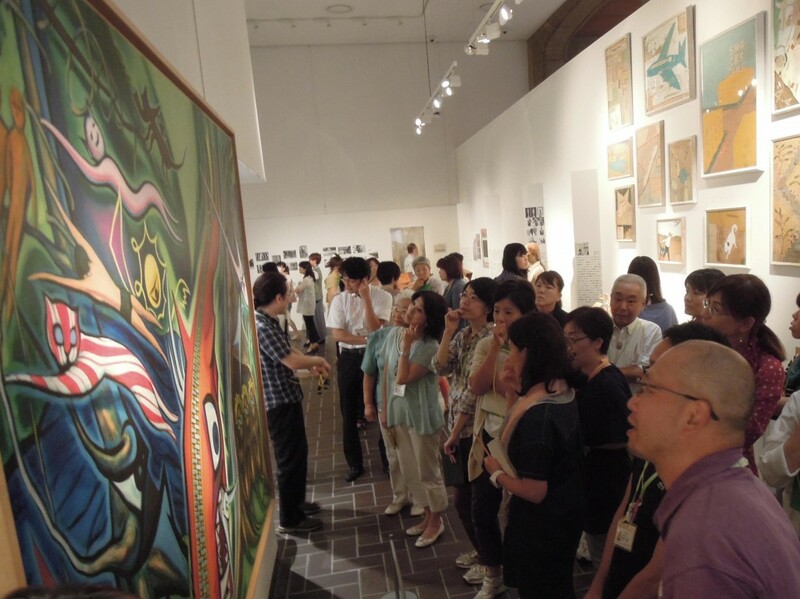 In elementary school arts and crafts and junior high school art classes, collaboration with museums and other places for art viewing activities is indicated more clearly than before. Therefore, we from the museum side are thinking of creating better art viewing opportunities by collaborating with schools as well. One of the specific programs is an art viewing class through “conversation.” Art viewing through conversation consists of forming groups of approximately 10 students and holding discussions. We will need facilitators to assist the conversations depending on the number of students. With the aim of the TOBIRAs doing this facilitator role in the near future, currently TOBIRA candidates (herein: TOBIKO) will build up a practical application training curriculum of 14 classes this year. Finally, the class moved on to this course’s practical contents. 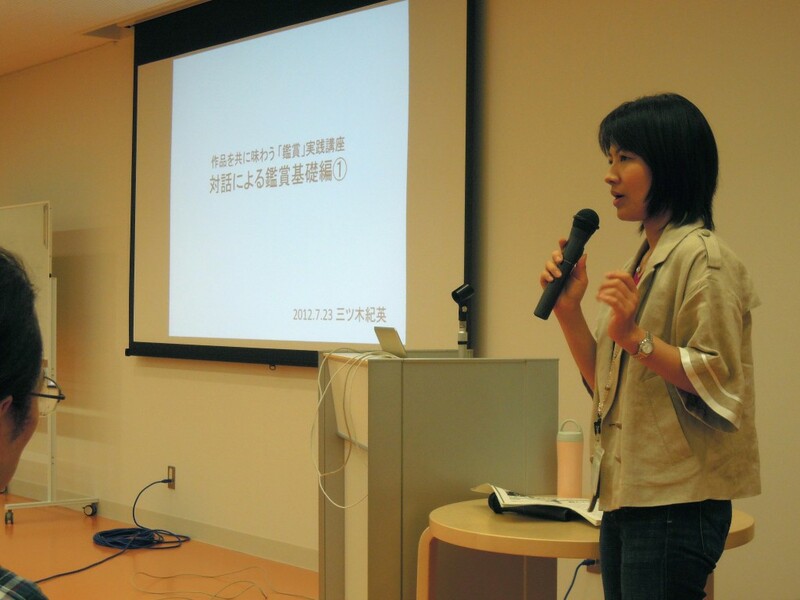 From the instructor Ms. Mitsuki, there was a brief summary of the VTS (Visual Thinking Strategy), which is the center of art viewing through conversation. After the summary explanation, participants actually experienced the VTS. 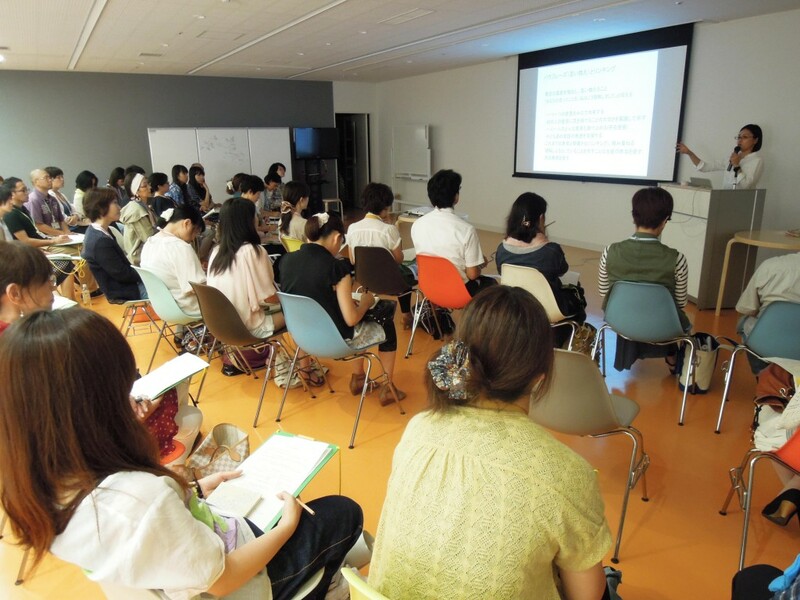 They looked closely at the paintings and sculptures and other things projected on the screen and spoke freely about what they had noticed and discovered with the assistance of Ms. Mitsuki as our facilitator. Various opinions were exchanged about things such as motifs of the pieces drawn and impressions they got from them. 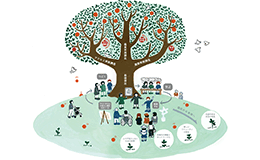 The third piece viewed was the “Rules of the Forest” by Taro Okamoto, which is displayed at a current TOBI exhibition called “The Story of Tokyo Metropolitan Museum.” After viewing the piece on a screen, the TOBIKOs moved to the exhibition room and viewed the actually viewed the original. 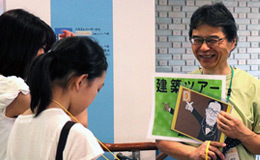 It seems like there were many discoveries separate from the screen viewing, and various opinions came out during the opinion-sharing discussion afterwards. The VTS was developed in America, but since the land is so vast, there are many people who are unable to go to museums. An art viewing method that was created in this sort of situation utilizes slides and projects pieces on screens as participants did this time. There are many things that can be done with slides, but they realized one can view art in much greater depth when in front of the actual object. After experiencing VTS, there was a more detailed summarization, including specific methods. he key to VTS is the art viewing facilitators. They ask questions of the viewers and create a nice flow of discussion to prompt the sharing of opinions. For example, when the viewers are children, there are times that their language is insufficient to convey what they want to say. Understanding the true meaning of statements and paraphrasing them enables opinion-sharing with others. Also, one of the most important things facilitators do is they “stay neutral.” The VTS focuses on the process of “learning to think” rather than on one “correct answer.” The facilitators are required to treat each opinion raised as a possibility, rather than deciding it to be a conclusion. It is important for the viewers to express their opinions, and develop them to think about the art piece individually. Moreover, there is no organizing or summarizing of opinions at the end of viewings. You might think that this would produce some vagueness, but by verbalizing one’s own opinions objectively under a facilitator’s lead, the visitors will recognize and be receptive to others’ opinions and have a desire to generate meaning from what one is seeing at the moment. Essentially, this develops within the viewer the intrinsic thoughts of wanting to “know” and “understand” on their own. Moreover, if these spontaneous thoughts get stronger, instead of throwing vague questions at others to seek answers, the “ability to continue thinking independently” will grow. Art is a difficult field to verbalize, but listening to others’ thoughts and the satisfying feeling of verbalizing one’s own thoughts and sharing them will nurture abilities like continuing to think and learn as well as observe. Also, the ability to communicate will develop. At the end of the Course, the participants formed groups of 3 and shared issues such as the Course experience and their opinions.